Keep up to date by accessing our summaries of the latest Tax Court rulings related to valuations and discounts in the Gift/Estate tax arena. These summaries are concise one or two page summaries in PDF format that highlight the important facts, findings and highlights of each case. 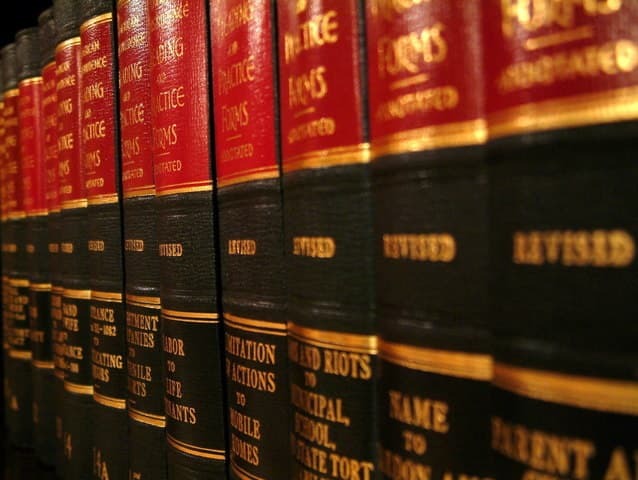 Stay up to date with our summaries without having to read the 50+ page complete rulings. Estate of Franklin Z. Adell vs. Commissioner of Internal Revenue T.C. Memo 2014-155, Filed August 4, 2014. Estate of Helen P. Richmond, Petitioner vs. Commissioner of Internal Revenue T.C. Memo 2014-26, Filed February 11, 2014. Estate of John F. Koons III, Petitioner vs. Commissioner of Internal Revenue, T.C. Memo 2013-94, Filed April 8, 2013. Joanne M. Wandry and Albert D. Wandry, Donor, Petitioner vs. Commissioner of Internal Revenue, T.C. Memo 2012-88, March 26, 2012. Estate of Louise Paxton Gallagher v. Commissioner, TC Memo 2011-148 Filed June 28, 2011, and Supplemental Memorandum Opinion issued October 11, 2011. Boltar, L.L.C. v. Commissioner, 136 T.C. No. 14, dated April 5, 2011. Michael C. Hollen, D.D.S., P.C. v. Commissioner, T.C. Memo 2011-2, January 4, 2011. Estate of Marie J. Jensen v. Commissioner, T.C. Memo 2010-182, August 10, 2010. Suzanne J. Pierre v. Commissioner, T.C. Memo 2010-106, May 13, 2010. Estate of Charlene B. Shurtz v. Commissioner, T.C. Memo 2010-21, February 3, 2010. Walter M. Price and Sandra K. Price v. Commissioner, T.C. Memo 2010-02, January 4, 2010. Estate of Samuel P. Black, Jr. v. Commissioner, 133 T.C., No. 15, December 14, 2009. Estate of Anne Y. Petter v. Commissioner, T.C. Memo 2009-280, December 7, 2009. Estate of Roger D. Malkin et. al. v. Commissioner, T.C. Memo 2009-212; September 16, 2009. Suzanne J. Pierre v. Commissioner, 133 T.C. No 2, August 24, 2009. Keller v. U.S. Civil Action No. V-02-62 (S.D. TX, August 20, 2009). David E. Heckerman et ux. v. United States; No. 2:08-cv-00211, July 27, 2009. Estate of Valeria M. Miller v. Commissioner, T.C. Memo 2009-119, May 27, 2009. Estate of Erma Jorgensen v. Commissioner, T.C. Memo 2009-66, March 26, 2009. Estate of Marjorie deGreef Litchfield v. Commissioner, T.C. Memo 2009-21, January 29, 2009. Estate of Thelma G. Hurford v. Commissioner, T.C. Memo 2008-278, December 11, 2008. Erickson v. Commissioner, TC Memo 2007-107, April 30, 2007. Dallas v. Commissioner, T.C. Memo 2006-212, September 28, 2006. Estate of Lillie Rosen v. Internal Revenue Service, T.C. Memo 2006-115, June 1, 2006. Huber v. Commissioner, T.C. Memo 2006-96, May 9, 2006. Mark W. Senda and Michele Senda v. Commissioner, U.S. Court of Appeals for the 8th Circuit, No. 05-1118, January 6, 2006. Estate of Winifred Hughes, Deceased, Dean McBride, Executor and Trustee, v. Commissioner, T.C. Memo 2005-296. Estate of Blount v. Commissioner, United States Court of Appeals for the Eleventh Circuit, No. 04-15013, October 31, 2005. Estate of Webster E. Kelley v. Commissioner, TCM 2005-235, October 11, 2005. Estate of Smith Jr., v. United States, No. 02-264 ERIE, July 22, 2005. Estate of Jelke v. Commissioner, TCM 2005-131, May 31, 2005. Miller & Sons Drywall, Inc. v. Commissioner, TCM 2005-114, May 19, 2005. Estate of Edna Korby, et al., v. Commissioner, TCM 2005-102, May 10, 2005, and Estate of Austin Korby et al., v. Commissioner, TCM 2005-103, May 10, 2005. Estate of Virginia A. Bigelow v. Commissioner, TCM 2005-65, March 30, 2005. Estate of Bongard v. Commissioner, 124 T.C. No. 8, March 15, 2005. Estate of Helen M. Noble v. Commissioner, TCM 2005-2, January 6, 2005. Estate of Theodore Thompson, Deceased v. Commissioner (No. 03-3173), (United States Court of Appeals for the Third Circuit), September 1, 2004. Estate of Thompson, TCM 2004-174, July 26, 2004. Mark and Michelle Senda, TCM 2004-160, July 12, 2004.